The five new colours of the luminary Silestone® Eternal Collection are the Bianco Calacatta, Classic Calacatta, Desert Silver, Eternal Emperador, and Eternal Marfil. The Eternal Collection is the first in Silestone's offerings to have veining and highlights run completely through the material, making for an unparalleled natural beauty coupled with Silestone's industry-leading performance, thanks to the Silestone® N-Boost technology. This innovation, which has been patented by Cosentino, modifies the material's surface at a molecular level to give it greater color saturation and extraordinary lustre, along with an enhanced water repellent property that makes the surface easier to clean and maintain. As with all Silestone® natural quartz products, the Eternal Collection includes the notable characteristics that set the brand apart: high resistance to impact and scratching; manufactured in large formats; and versatility of application. Please see Annex A for the new Silestone® Eternal Collection shades. "Cosentino's investment in R&D to develop the complex, full body designs of the Silestone® Eternal Collection, has received wide recognition by consumers, architects and designers alike. We are delighted to present now these new Eternal colors and we look forward to the collection's continued success in 2018," says Valentin Tijeras, Vice-President of Global Product and R&D, Cosentino. 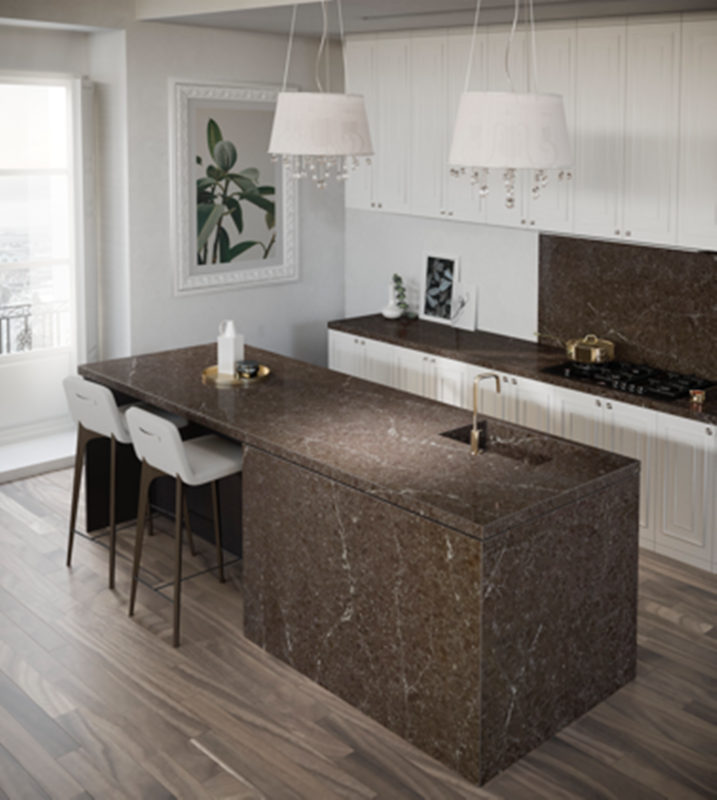 Cosentino also adds two exotic new Brazilian quartzite colours to its Sensa by Cosentino® Protected Natural Stone range. The two new shades, Taj Mahal and White Macaubas, join the Sensa Premium range and feature the exclusive Senguard NK stain protection. These two new surfaces are the first quartzites to join the Sensa by Cosentino® range. Quartzite is a very hard metamorphic rock that is composed almost entirely of quartz and is the perfect substitute for a natural stone that is more durable and hardwearing than traditional marbles, whilst offering a similar look. The seven new shades were unveiled in Singapore on 17 August at an exclusive launch party held at Cosentino City Centre showroom. Over 100 guests from the media and design industry were in for a treat at the event with the theme "Brazilian Summer Nights", alluding to the exotic new Brazilian quartzites in the Sensa by Cosentino® that were being launched that night in addition to the new shades in the Silestone® Eternal Collection. The new shades of the Silestone® Eternal Collection were mounted on the walls of the Cosentino City Centre showroom, for the guests to view and feel for themselves. One of the kitchen countertops in the Cosentino showroom was also replaced with a countertop made from Sensa® in the shade of Macaubas so that guests could see how the surface looks like on an actual kitchen top. Additionally, an ornamental flower pot made from the new Sensa® shade of Taj Mahal was on display to show the versatility and beauty of the two colours. Newly appointed General Manager of Cosentino South East Asia, Pablo Abad Gomez, was present at the event and enthuses, "With the launch of at least a dozen new shades in various collections this year alone in Singapore, Cosentino is cementing its position as a market leader of innovative surfaces in South East Asia. We look forward to shaping and growing the industry in the region through collaborations that showcase the uniqueness and versatility of our products beyond the kitchen and bathroom." All seven new shades in the Silestone® Eternal and Sensa by Cosentino® collections is now available in Singapore.